A new anthology of erudite essays shines a light on how to address the artist’s biography. There’s a lot to be said about art writing: much of it, in its current mainstream iteration oscillates between faux-lowbrow listicles and convoluted connoisseurship, both fail to provide enough information to readers. There are exceptions, though, for instance, the illustrious Marina Warner, who has for many years taken a different approach in writing. In “Cristina Iglesias: Where Three Waters Meet,” an essay in the “Iconoclashes section,” she writes about Cristina Iglesias’s “Tres Aguas” three pool-like sculptural installations that touch on the convivencia period in the city Toledo, a hypothesis that describes a time of religious co-existence that began in the eighth century. She does not merely describe the installations. She gives the reader a primer of the history of Toledo, with a brief excursus on the city’s mastery of weaponry, citing Shakespeare’s mention of “Spanish blades” in Romeo and Juliet, and also veers off into explaining the significance of water installations in Renaissance gardens, and the way hydraulic sciences were advanced among the different Arab dynasties when they conquered Spain. The analysis of AL and AL’s CGI avatars and video installations in the essay “AL and AL: Visions of the Honeycomb” in “Spectral Technologies” rests on the concept of the double. She traces it back to the concept of eidolon, a simulacrum of a real-life entity that is seen in a version of the Trojan myth, where the woman that Paris abducted from Sparta was not the real-life Helen, but a simulacrum, while the real Helen had been spirited away to Egypt. As a graduate in Classics, I am biased towards Warner’s writing, which emphasizes the mythical, religious, and fabulist component of each work she writes about in a way that might ring too academic to readers who are not interested or familiar with that type of lore. “The words tempus and temple share the same root as temenos, a sanctuary, and ultimately derive from the Greek verb temno, for hewing, slicing and wounding,” she writes in regards to Damien Hirst’s predilection for ephemeral creatures such as butterflies, before delving into comparing art galleries and museums to modern-day temples and mausoleums. 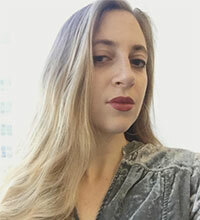 Warner’s essays are aspirational in their scope, form, and subject matter. In each of the essays, you learn something about the topic discussed and not, as it is the case in many instances of art writing, just wonder what that convoluted “artspeak” word actually means. 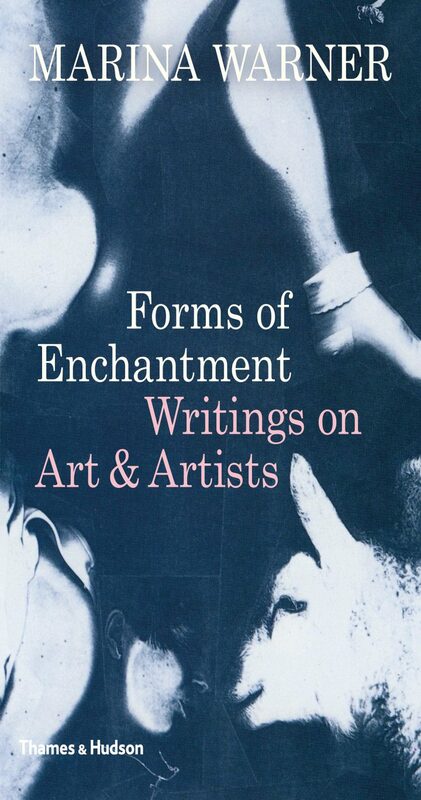 Marina Warner, Forms of Enchantment: Writings on Art and Artists (2018) is published by Thames&Hudson and is available from Amazon and other online retailers.